Gray Smith, Monique. Speaking Our Truth: A Journey of Reconciliation. Victoria, BC: Orca, 2017. 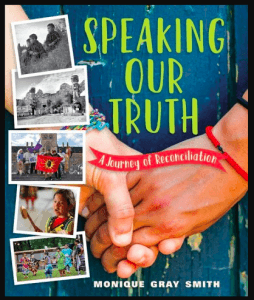 A Canadian book about reconciliation with chapters focusing on honesty, love, kindness, and reciprocity. 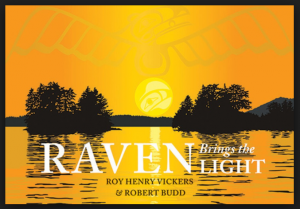 Stories of indigenous people, explanations of current political negotiations, and historical information combine to create a highly readable life-affirming book recommended for all ages. Supplemented by a glossary, online and print bibliography, list of residential schools in Canada, and an index. If you can purchase only one book, buy this one! It’s National Aboriginal Day in Canada! Vickers, Roy Henry and Robert Budd. 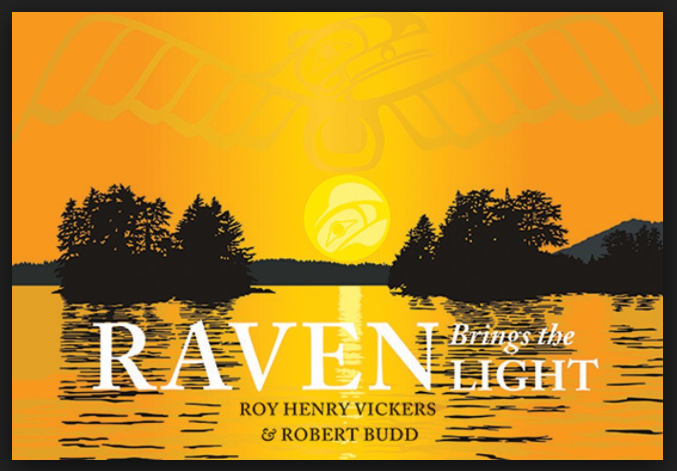 Raven Brings the Light. Madeira Park, BC: Harbour Pub., 2013. This complex powerful legend from the Tsimshian people of the Pacific northwest coast of N.A. is recommended for readers nine-years-old and up. 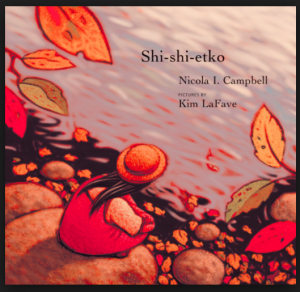 An excellent read-aloud and an intriguing story for readers who enjoy inferring cross-cultural connections and finding universal themes. Find more stories of indigenous peoples of N.A. HERE. Campbell, Nicola. Shi-shi-etko. Toronto: Groundwood, 2005. A little girl is taught by her mother, father, and grandmother how to remember her home and her culture before she is taken away on a cattle truck to residential school. Astonishingly beautiful illustrations accompany this poignant story filled with five senses details. Highly recommended for readers – and listeners – of all ages. Eboch, M.M. Salish Community. Collingwood, Ont. : Beech Street Books, 2017. 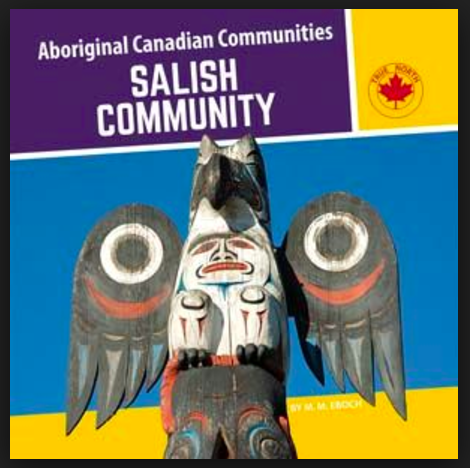 Other books in the series include Cree Community, Huron-Wendat Community, Iroquois Community, Metis Community, and Ojibwe Community.